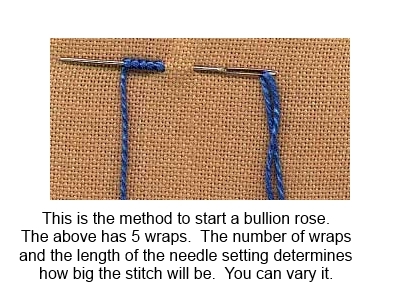 I can only surmise that so many people have tried to create this stitch, and had a lot of difficulty, that they named it bullion (as in gold bullion) because it is out of reach for many of us. Here is one that someone did who really has practiced!! I have seen these beautiful hand completed on the high end sweaters, baby items and understand that they are a stitch that is challenging to be done. I can see that they do take a lot of practice. 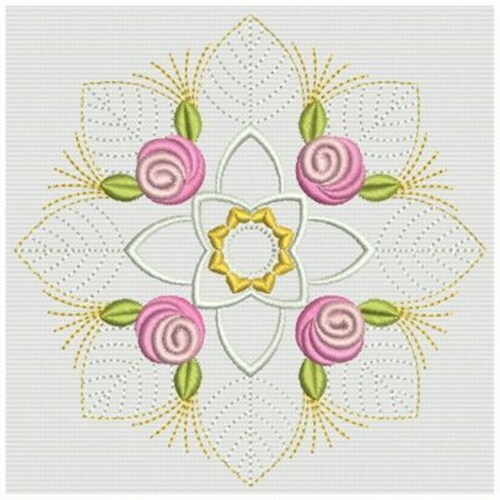 That is one good reason that I love that this one is available for machine embroidery. I found three here at AnnTheGran. The one below is exquisite and I think very well digitized. 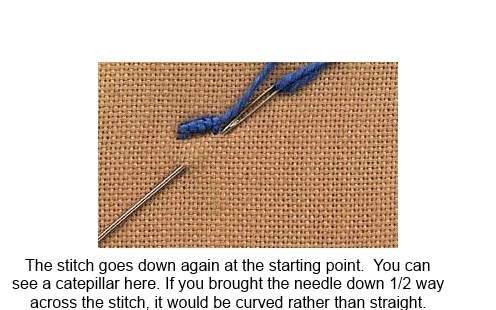 Creating small enough stitches that don't cause problems with your thread must be a real test of skills. Gunold obviously will be up to that task. 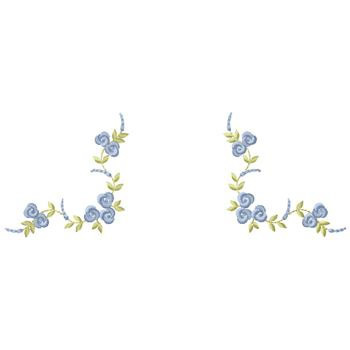 The delicacy of this design is wonderful. I really love the way they have given this design flow and fine curves and stitches. I am always in awe when the designer makes use of the lay of the stitch to catch the light. 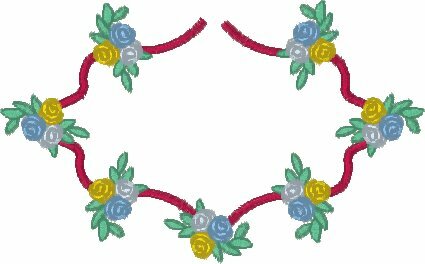 I am thinking that when I decide to do my special project with this design, I may well use a 20 or 30 weight thread. That would be cool too! 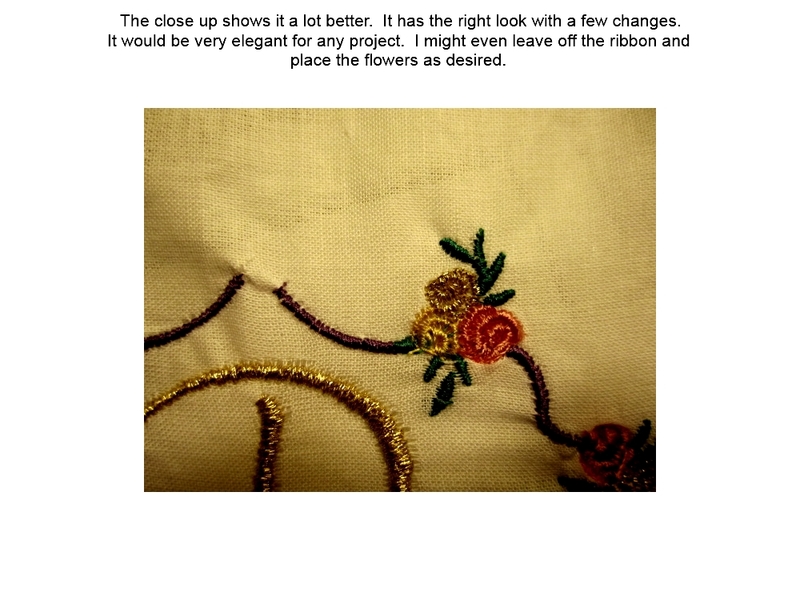 You may remember that I also blogged on the Candlewicking stitch. Translating from hand embroidery to machine is really fun! 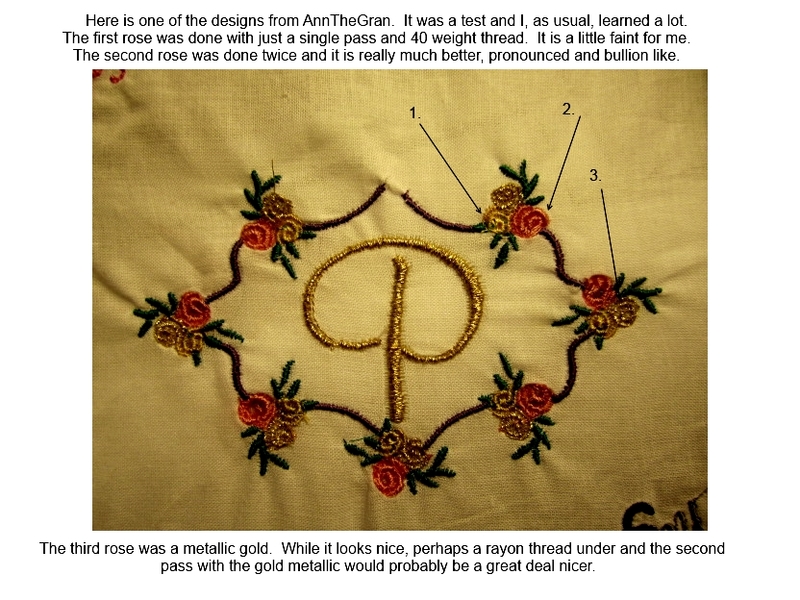 If you did not get a chance to see it, Ann Blogged last week. Stop by and check it out! I LOVE bullion roses. Thank goodness for machine embroidery, because I don't think I'd take the time to try and make them by hand!